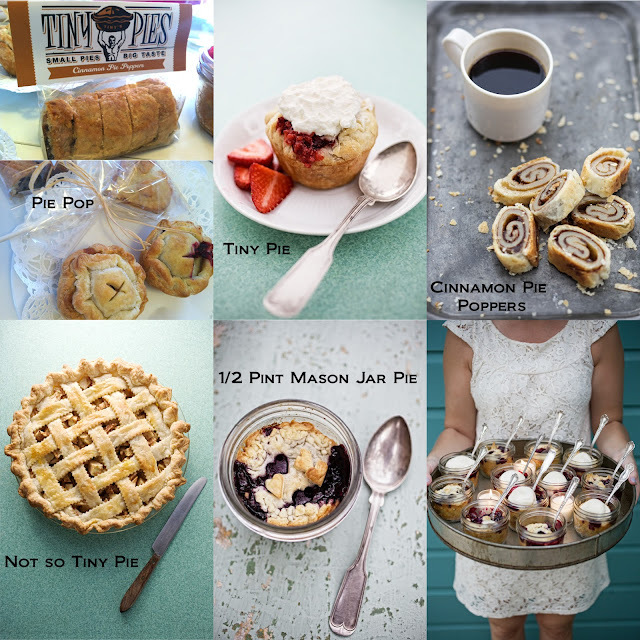 Tiny Pies are the ORIGINAL tiny hand-held pie. We had the privilege of tasting their goodies this week! Their pies are just like grandma used to make…only much, much, smaller. Tiny Pies are made from old family recipes with the highest quality all-natural ingredients sourced from local farmers markets (when possible). You can eat them without utensils and they taste great either hot or cold. They may be tiny, but they are also delish! Tiny Pies has converted our resident planner that despised pies into a pie fan. They have many different styles and flavors of pie to choose from...perfect for everybody who enjoys pie. Tiny Pies offers their Original Tiny Pies, Pie Pops (pie on a stick), 1/2 pint mason jar pies and Not So Tiny Pies (traditional size pies), and Teeny Tiny Pies (one bite pies). They also bake up Cinnamon Pie Poppers (their version of a cinnamon roll made from pie crust) that are to die for. No one can eat just one! Tiny Pies has also just introduced savory veggie pies. Go check them out! Like them on Facebook, too.